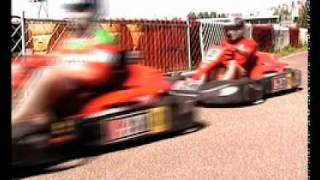 If your stag party has a need for speed then Riga's outdoor Karting circuit is the perfect venue for you. Measuring 1.2km the track is the longest and fastest in Riga and you could be forgiven for thinking you are racing at Silverstone rather than a kart track. The track has been carefully designed with speed and overtaking in mind so there will be plenty of opportunities to blast past your mates if they holding you up. Your will be provided with overalls, gloves and helmets and there will be a safety briefing before the racing starts. The kart track has state of the art electronic timing so there will be no question as to who the fastest (and slowest) drivers are. So get ready to race and in the immortal words of Murray Walker.....Go, Go, Go!!! !